It is easy to think that all of the basketball focus in the coming weeks will fall on the FIBA 2014 World Cup. This is a massive basketball event and many countries from around the world will be hoping for a bit of luck and a lot of success at the event in Spain. The sportsbooks suggest that it is between Team USA and host nation Spain for the trophy, but you can bet that every other team will be travelling in the hope of causing an upset along the way. There is a need for teams of all levels to compete at these events, and while some fans may dismiss some of the nations out of hand, there will be plenty of basketball fans, coaches and players who would love to be part of the big event. 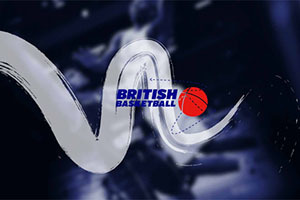 There are other basketball events taking place away from the FIBA World Cup this summer and while Team GB players and fans will no doubt keep an eye on the big event taking place in Spain, they will be more focused on what lies ahead of their own team this month. This is pertinent because Team GB will be facing off against Iceland and Bosnia this month, with the team looking to book a spot at the Eurobasket 2015 event. Qualifiers can be nervous and fraught, but there is going to be a lot of hope and expectation placed on the British team this summer but skipper Drew Sullivan is fully supportive of the young players that have been handed the chance to impress this summer. 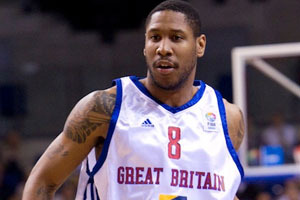 At 32 years old, Sullivan can call on three previous Eurobasket campaigns, but he thinks it is the performance of youngsters like Myles Hesson which will have the biggest impact on Team GB’s chances of making it to next summer’s big basketball event. It is likely that that Luol Deng is going to be missing from the team, and a team of GB’s standard is always going to miss a player that has been an NBA All-Star. However, Sullivan, who was part of the Leicester Riders squad that tasted success in the BBL Cup last season believes that the absence of Deng will not be felt as strongly due to the young basketball talent that is coming through at the moment. There is always a need for basketball teams to bring through new players, and this is as true for international players as it is for club sides. Team GB flies off to Iceland for the first match, which will be played in Reykjavik on Sunday the 10th of August and then their next match is in London, when Bosnia come to the Copper Box Arena for a match that takes place on Wednesday the 13th of August. On Wednesday the 20th of August, Team GB will play Iceland, again at the Copper Box, before they conclude their four match run with an away trip to Bosnia, in Sarajevo, which takes place on the 24th of August. While neither of Team GB’s opponents are ranked in the top 50 in the world, they will still pose quite a threat to the British team this summer, so there is all to play for.